The San Francisco Tape Music Center in 1964. 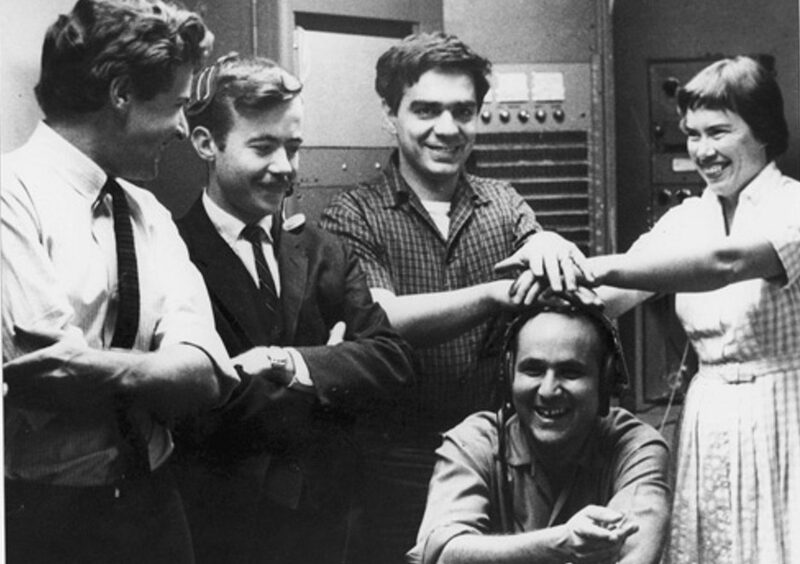 From left to right: Tony Martin, Bill Maginnis, Ramon Sender, Morton Subotnick, and Pauline Oliveros. Click play for the fourth episode of No Sounds Are Forbidden. Host Matthew Friedman explores the impact of magnetic tape recording technologies on avant-garde composers, and on the birth of electronic music. This episode features an interview with composer Pauline Oliveros, music by Oliveros, Pierre Schaeffer, Halim El-Dabh, Otto Luening, Ilhan Mimaroglu, Alice Shields, Lejaren Hiller, Steve Reich, and Jacob Druckman.